Do you Want the Best Methods to Breed Insects for Live Food for Your Exotic Pets or for Profit? WildlifeHub has been training and breeding low maintenance insects breeding systems for over 13 years to: zoos, wildlife carer groups, pet stores, exotic pet owners and the public. Over this time we have tried conventional methods and then developed our own unique methods through trial and experimentation. This has significantly reduced the time and effort to Breed Feeder insects. Our insect breeding systems set the benchmark for insect breeding and are used around the world for both individuals…. or to start insect businesses. Our New Low Maintenance Insect Breeding systems, will Help you Save Time and Effort… or Why not Turn an Expense Into Profit! As outlined below Wildlife Hub has the experience and training resources to make to you self sufficient in live foods or to teach you to live sustainably, no matter your experience. These FREE 10 Lesson training guides have lots of useful information and covers; how to build a cricket or cockroach breeding system, biology, container design, feeding, gut loading, heating, pest management and lots more… We also give you a free sample of our book. 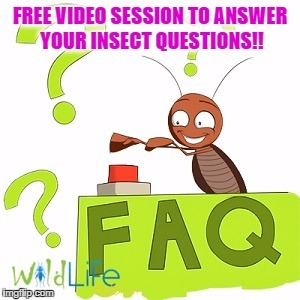 To get your Free Insect Courses click here. To view our extensive range of Breeding Insect Articles click here. The main purpose for these session is to help you get the right information to become independent insect breeders. This has helped me pursue my passions (Reptiles, Wildlife Rescue, Wildlife Projects) so I enjoy sharing information and experience. 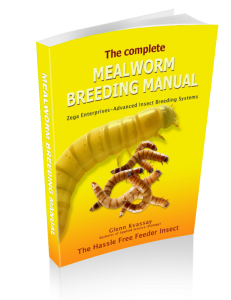 They are available for people who just have insect breeding questions, or for people who have bought our book and want clarification on something. For more details on our Free Video Insect Information Session click here. 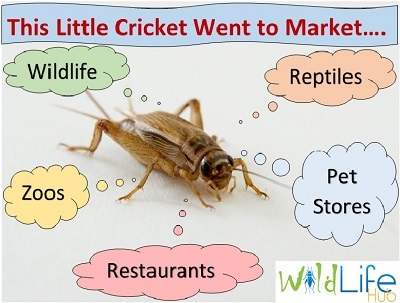 Wildlife Hub has over 13 years’ experience producing, selling or training people how to breed insects to wildlife parks, zoos, reptile, exotic animal and wildlife carer groups. And believe it or not for human consumption !! We are in the process of developing a webinar series to help people start a business in breeding insects. In the meantime we do “one on one” consultations. If you are interested email us at info@wildlifehub.com. 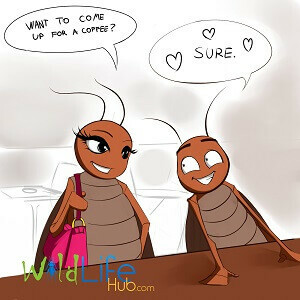 For articles to help you Breed Insects for Profit click here. With around 160 pages and 240 color photos in our cricket guide (100 pages, 145 photos for cockroach guide), you will not find a more comprehensive and complete manual on how to breed insects for both private and commercial production. Our books and Videos are well regarded by some of the worlds largest cricket breeders as the go to resource to improve the efficiency of their own operations or to train others in the field. We provide online and video support to all people who purchase our books. All Cricket Breeding Books include videos on how to build our unique Zega Substrate Cricket Breeding Method. For more information on the Breeding Feeder Insect Book Series, click here. We work with Commercial Partners (Aquaponic, and Insects for Human Consumption and others) to breed insects with less food, heat and water than conventional methods. Our books, videos and resources are used around the world to train people on how to breed insects for the booming “Insects for Human Consumption” sector. Insects are far more efficient source of protein to feed the world, and is now a booming industry. Our aim to to have a sustainable heat and food source for breeding insects or other food sources. 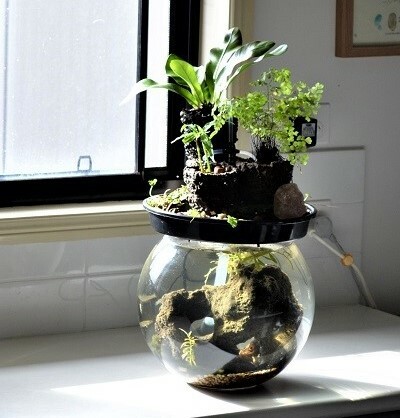 For example we are excited by our work to have a sustainable food source for aquaponics which includes: insects, mosquito fish, duckweed and algae cultures. We also aim greatly reduce heating, power and pumping costs. We produce desktop aquaponic features which are low maintenance (no water changes) for sale, or as a educational tool for schools and day care centers to teach sustainability and nature principles…and kids just love them. We are in the process of developing a range of other resources and activities which give practical activities that teach sustainability to schools and daycare centers. For further details see our Sustainability and Education page. We have kept and breeding live foods for reptiles for decades, and we can help you to get the right animal husbandry information. 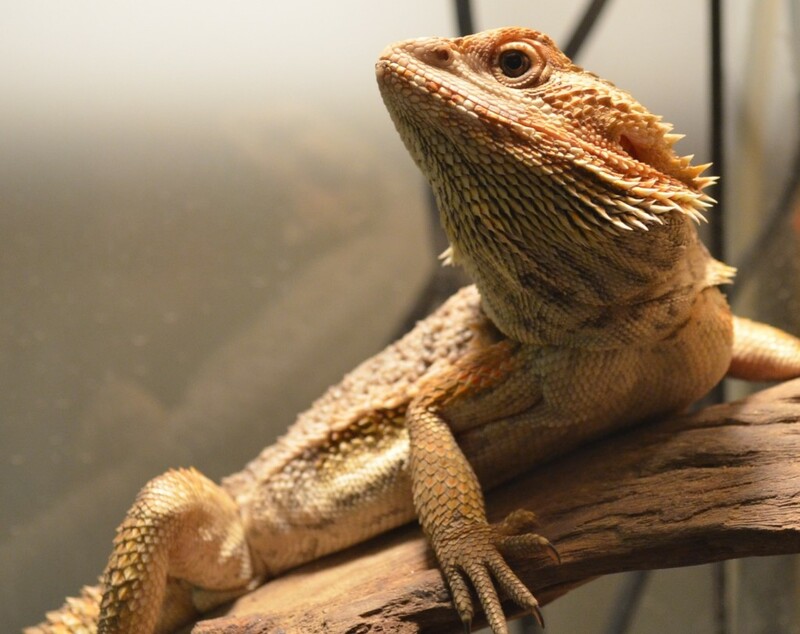 For articles to help you keep Reptiles as Pets click here. If you have wildlife and pet questions, Wildlife Hub will help you find answers. If you have any queries please contact Glenn at info@wildlifehub.com.